The EUR/USD currency pair is still being corrected. Most likely, in the nearest future the pair will continue moving towards the level of 38.2%. If the price rebounds from this level, the pair may make reverse. At the H1 chart, the pair is moving inside a local up-trend. It looks like the price is going to continue growing up towards the level of 1.3100, where there are several fibo-levels at the same time. 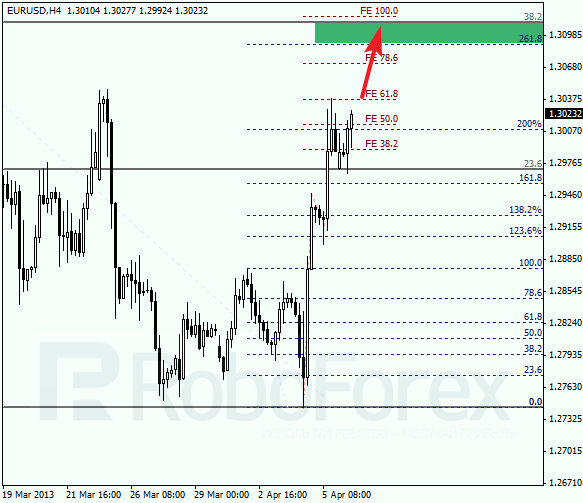 According to the analysis of temporary fibo-zones, the pair is expected to reach the target area by the end of the day. Franc is still moving downwards, just as we expected. The target of this descending correction is the level of 50%, where Take Profit on my sell order is placed. If the pair rebounds from this level, the price will start a new ascending movement. 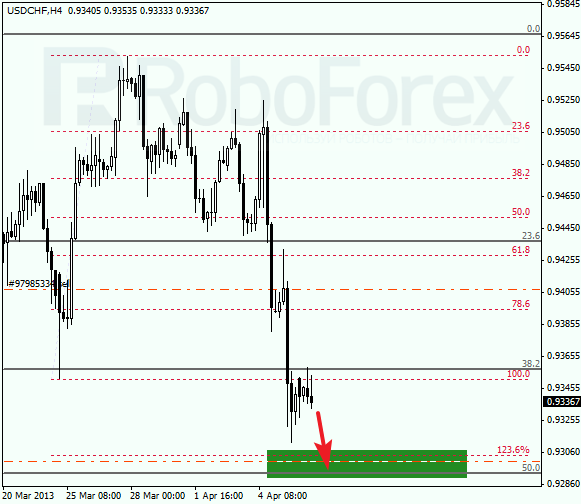 At the H1 chart, we can see that there are several fibo-levels near the level of 0.9300. Temporary time zones indicate that the price may reach predicted target levels during the next several hours. 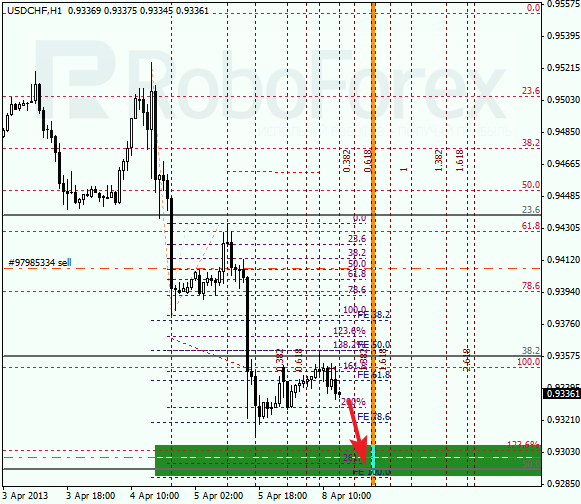 However, this movement is a correction, so I decided not to open more orders.